Buying a car can be a daunting task. Whether it be your 15th time buying a car or your first time, people can find car buying overwhelming. Most places use high-pressure tactics to get people to buy immediately. 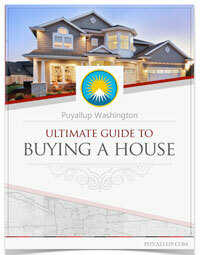 However, when buying a car, Puyallup is one of the best cities to visit. 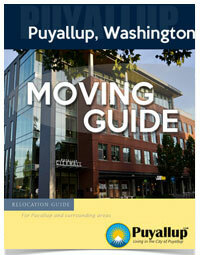 There are many reasons why visiting Puyallup to buy a car is the way to go. There are many different kinds of dealerships in one centralized location so it makes easy to shop around for different brands and to find the best deal. Cars for sale in Puyallup are traditionally cheaper than some of the larger cities. Finally, Puyallup dealerships offer the best customer service and low-pressure sales to help customers make an informed, comfortable decision when buying a car. Here are few tips to help with the car buying process. The best advice before you step into a dealership is to set your budget. It is very easy to get swept away in all the add-ons. It is a good idea to allot at least 20% of your monthly budget to your car so you do not get in over your head with payments. Also, make sure to research all your car choices before wandering into a dealership. Figure out what type of car fits your needs or your family’s needs. Use the internet to research different cars and read honest reviews and feedback on impartial sites. Make sure to get information of the cost of the make and model of car you are interested in so when you go into the dealership you have more power for negotiating. Also when it comes times to purchase a new car, you have to decide if you want to trade it in to the dealership or try to sell it yourself. There are pros and cons to both. Typically, when you trade your car into the dealership you get less that market value for your car. You will usually have to negotiate pretty hard to get a decent deal on a trade in. If negotiating isn’t your style then you usually have to accept the fact that you will not get as much money as you would if you sold it yourself. The upside is that it is pretty much hassle free. You can unload your car in one day and put that money towards your new car. Selling your car on your own will usually get you more money. You can consult websites like www.kbb.com to see the current market value for your make and model. There are also many free ways to promote the sale of your car. The downside is dealing with potential scam artists or people who waste your time. It can be hard to weed out true potential buyers. Common scams include the overpayment scam, trying to set up a payment plan with you, or trying to use a fake check or a fake cashier’s check. Make sure to use caution and exercise your best judgment when trying to sell your car. Car shopping is more than just negotiating a lower price on a car or getting more money for a trade in. You have to understand your personal credit along with researching the market in order to get the best deal. It is also important to research deals that different dealers offer. Once you are armed with that information and you find the car that you want, you need to understand the three main ways to pay for your car. Paying cash, if you have that option, is the best way to go. It eliminates interest costs and finance fees and it means that you won’t have to make monthly payments. However, this can add thousands of dollars to the upfront cost of the car. It is not always option for people that can’t spare the cash. Also, something to remember, cars usually decrease in value so throwing a ton of cash at a car up front might not be the wisest investment with your money. Leasing is perfect for people that wish to have a new car every few years. When you lease a car, it will mostly likely be under warranty and if you use it for business purposes it can sometimes be a tax write off. You also won’t have to worry about trying to sell it or trading it in, the dealership just takes the car back. The downside is that you have no equity in the car and hence you will have to start all over again when buying a new car. Also, there are annual mileage allotments on leased vehicles. These allotments are typically limited to a range of 10,000 to 15,000 miles a year, so make sure that you don’t drive excessively. Exceeding the limit typically results in expensive fines, so if you drive more than the typical 15,000 miles a year, leasing doesn’t make a lot economic sense. The final way to purchase a car is financing a car. Car financing is available through credit unions, automakers, banks and financial companies. Financing is dependent on your credit score. The higher your credit score the better of a deal you will get at the dealership. Lower credit scores result in a loan that might not be favorable to you. Once you have been approved for financing, you will not own the car until all the monthly payments are completed. If for some reason you decide to sell the car before you have completed the payments, the process can be difficult. Also, when financing a car, the creditors require a hefty down payment upfront. Make sure to do your research and know your credit score before going to look for a car. 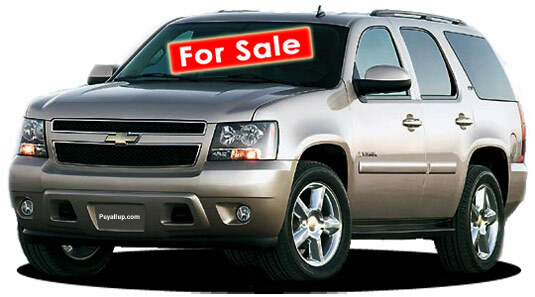 When visiting Puyallup for car shopping, make sure to know which dealers you wish to visit. Puyallup has Chevrolet, Kia, Subaru, Toyota, Nissan, Mazda, Jeep, Dodge, Ford, Hyundai and a few used car dealerships in one central location. The car dealerships in this area pride themselves on exceptional customer service, reliable cars and the best prices in Washington State. So when searching for a new car, Puyallup is definitely the city to visit for the most options and the best deals.